Ok, so I know what you are thinking. This woman is insane! But it does make a difference. For a long time, I did not make my own breadcrumbs because I thought my mother was insane! She made them all the time, out of any leftover bread, including her homemade bread that she made on a regular basis (that’s another story). But I realized that for the few minutes that it takes, it’s worth it. Adjust oven racks so that one is almost to the top and the second is on the bottom rack. Preheat oven to 150 degrees. 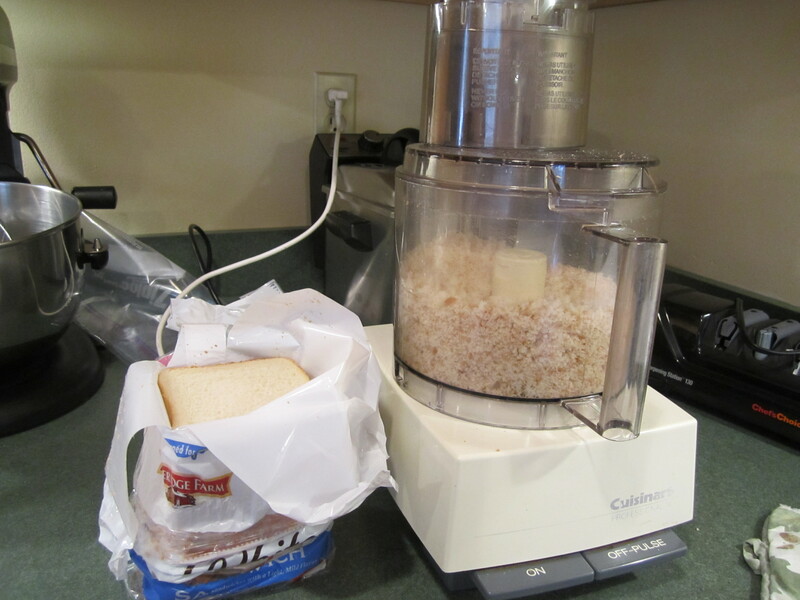 If you are using a food processor, you can take half the loaf and process it using the chopping blade into medium to fine crumbs. If a blender is what you have, you will need to break up the loaf in quarters or less to get the job done. Process the bread and put 1/2 on each of 2 rimmed cookie pans. Place cookie pans on the racks and bake for 1/2 hour. Turn off oven and switch pans. Close oven door and let sit for another 1/2 hour. Presto! Dried breadcrumbs. 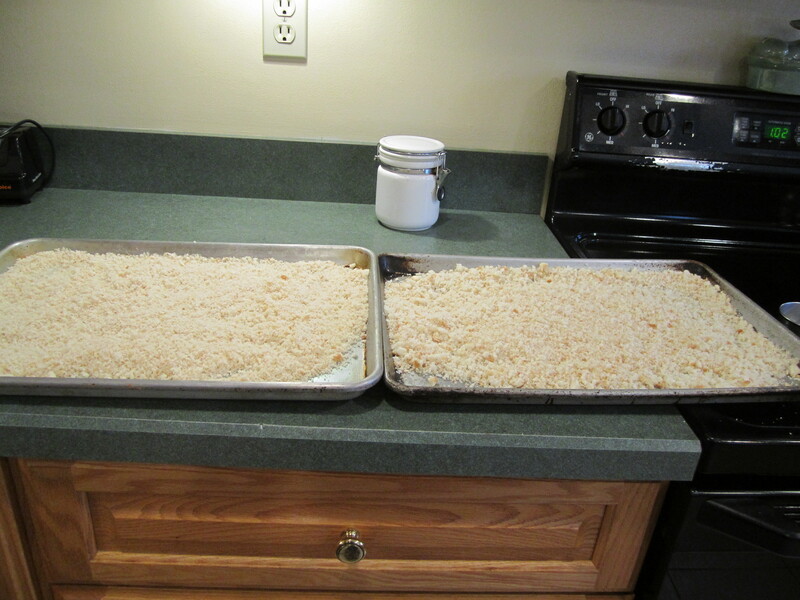 When cool, place breadcrumbs in plastic zip lock freezer bags and place in freezer ready for any use. 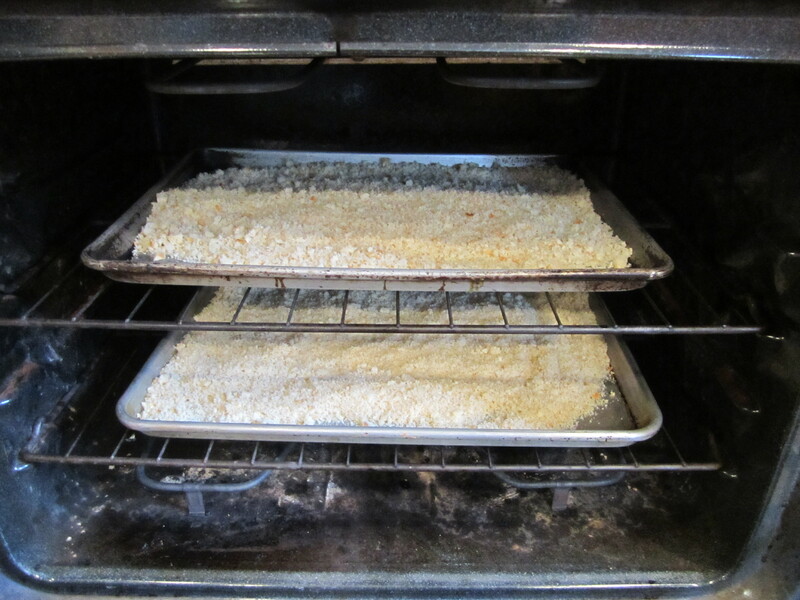 If you need fresh breadcrumbs, not dried, well of course you have them sans the oven step.